A Short Report on our 2018 Season! The purpose of the Mount Zion Project is to expose, examine and preserve all levels of habitation over the course of Jerusalem’s 3,000-year history. This site shows evidence of habitation from the modern period back through Ottoman, Islamic, Crusader, Byzantine, Roman and ancient Israelite levels. This project is a unique opportunity for the city of Charlotte to have an historic presence in the Old City. The Mount Zion Project advances research and teaching in the humanities by bringing together students, scholars, and a diverse range of professionals in the study and practice of cultural transformation. 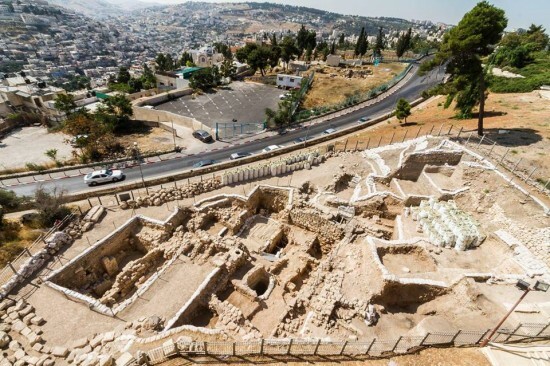 Using the two thousand-year window opened by our Mount Zion archaeological excavation as a reference point, we examine the global significance of questions raised by the past, present, and future of this contested sacred city. Jerusalem is a crossroads of religions, cultures and languages, a place where ultra-modern high tech meets the ancient walled city. Shaped by multiple histories of conquest and pilgrimage, migration and exchange, cooperation and restriction, Jerusalem is both a city and an idea, overburdened by pasts that make it a crucible and powerful symbol of conflict and promise, creativity and renewal. At the heart of the program is a summer study abroad course in Jerusalem for UNC Charlotte students. Their experiences are supplemented with coursework in Charlotte as well as extended opportunities in history, languages and cultures of the region. We also welcome a large number of community participants from all over the world. The project is under the academic oversight of the University of North Carolina at Charlotte, the only American university currently licensed to carry out such excavations in Jerusalem. Dr. Shimon Gibson, Professor of Practice in the Department of History, and a Senior Fellow at the Albright Institute of Archaeological Research in Jerusalem, and Dr. James Tabor, Professor of Ancient Judaism and Early Christianity in the Department of Religious Studies, serve as Directors of the excavation, along with Dr. Rafi Lewis who is resident co-director of the project in Jerusalem. The project is interdisciplinary and includes the participation of other departments across the university.